More than 100 women’s organizations across Spain have signed on to a manifesto in the run-up to 28th April general elections, calling on the country’s political parties to take on board the demands of Spain’s feminist movement and pledging that they will hold the parties and politicians accountable during the next legislative session for commitments and promises made to women voters. The organizations subscribed to the manifesto say the upcoming election is critical to the women’s movement in Spain and that they view with concern the political tension, the rise of right-wing populism and the possible reversal of gains made for women during the past 40 years since Spain’s transition from dictatorship to democracy in the 1980s. 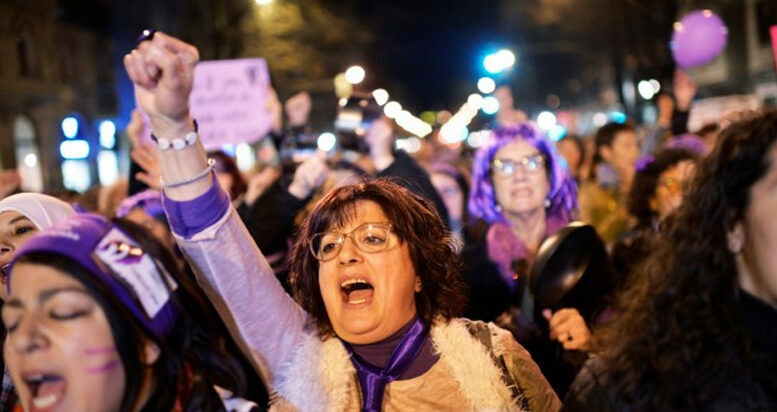 The pre-election feminist manifesto containing some 80 points arrived at by consensus among Spain’s principal women’s organizations, outlining their positions against prostitution and commercial surrogacy or ‘womb rental’, demands for true gender equality and improved conditions for women in employment, retirement pensions, healthcare, education and other areas. The manifesto said that since the last general election of 2016, there have only been “timid institutional advances” for women in Spain, noting that “there remain many gaps that must be addressed to achieve real and effective equality” for women.